NVIDIA continues to promote its Scalable Link Interface (SLI) technology. This time with the help of Dell and its Dell XPS 600 High-End machine based on nForce4 Intel Edition SLI x16 and full-speed PCI-Express for a couple of GeForce 7800 GTX cards. For Dell XPS 600 the company redesigned the XPS case and excluded the usual "Gen" from the logotype. All in all, the price for such a "standard" machine already reaches $3,100. You can order one for yourself here (note that the price for Dimension XPS Gen 5 is noticeably reduced). By this time NVIDIA has already shipped about 1.5 million chipsets for such machines, the source says. 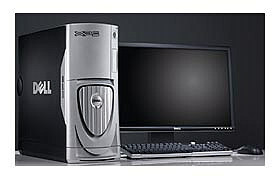 On August 11 to 14 Dell XPS 600 will also be showcased at id Software QuakeCon 2005. Oxford Semiconductor introduced OXUF924DSa and OXUF924DSb chips  a complete solution for bridging between SATA disks to USB2.0, FireWire400, and FireWire800 (DSB only). The OXUF924DSA is USB2.0 and FireWire400, while the OXUF924DSB also supports FireWire800. Integrating a full USB2.0 link/Phy and FireWire link, the chips minimise the total component count for an external drive product. The novelties are compatible with latest generation serial ATA drives and supports dual disks and operate at 1.5GHz, assuring a disk interface data rate of 150MB/sec. The SATA interface allows external storage products to follow the current transition of hard drives from Parallal ATA to Serial ATA. Dual SATA allows connection of 1 or 2 SATA drves with hardware striping, spanning and mirroring for ultimate performance. Alternatively, one SATA port can be configured as an input enabling eSATA to SATA. Bridges are based on ARM7 core with 8KB RAM, 1MB of external flash memory and 12 General Purpose Input/Output channels. In the process of development firmware can be uploaded through an integrated asynchronous transceiver (12Mbps), while in ready solutions firmware can be upgraded via FireWire or USB ports. OXUF924DSa (FireWire400) costs $8.70, OXUF924DSb (FireWire800) — $11.90 in over 10K quantities. Nvidia will launch its GeForce 7800 GT on August 11 priced at US$449, according to sources at motherboard makers, reinforcing previous reports about the launch schedule. In addition, the sources stated Nvidia will cut the prices on its GeForce 6800 series around that time, with prices for the 6800 Ultra dropping to US$399, while the 6800 GT will fall to US$299 and the 6800 will fall to US$199. The well-timed release is expected to further strengthen NVIDIA´s position in the market of powerful GPUs. According to analysts, NVIDIA now owns about 73% of DirectX9-enabled GPU market, while its rival, ATI, owns only 27%. 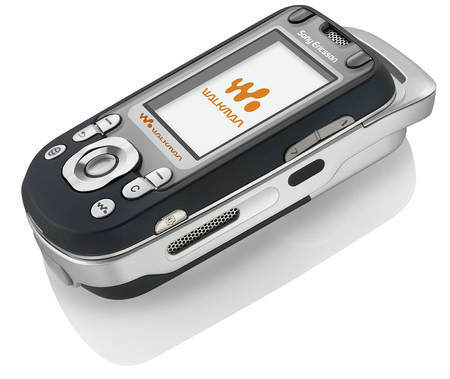 Sony Ericsson announced a new addition to its Walkman phone family  the W550  that offers quality stereo music, a 1.3 megapixel camera, Internet browsing capability and a credible games console. The W550 has a digital music player and two external stereo speakers (or one can always use stereo headphones provided with the phone). Loading music onto the handset (with 256MB internal memory) is done with Disc2Phone PC software. 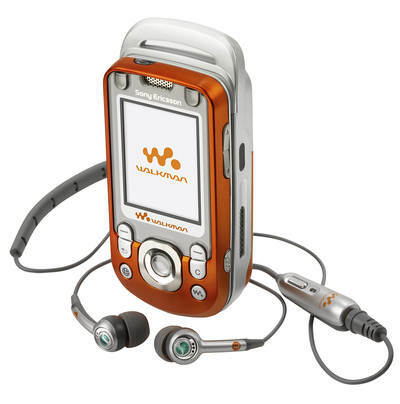 The W550 allows users to listen to up to 30 hours of music. When listening to music on the W550 over headphones, the music cuts off automatically when a call is received, permitting the listener to take the call before resuming listening to the paused track. A direct music button gives instant access to the Walkman music player, which can be used independently of the phone, allowing the phone to be used in flight mode so your personal music can be enjoyed even on an airplane. The W550 also offers an authentic games console experience. Games can be played with the screen positioned horizontally and buttons on the left and right of the screen being used for two-handed control. The list of pre-installed games includes Worms Forts: Under Siege 3D developed by THQ Wireless, Extreme Air Snowboarding developed by Digital Chocolate and a new multiplayer version of Midway’s Gauntlet, developed under license by TKO Software. If users prefer, horizontal-mode games can also be played in portrait mode or an L-Shaped mode using the keyboard. The W550 also supports multi-player peer-2-peer gaming over Bluetooth. Equipped with a 1.3 MegaPixel camera, the W550 captures stills and video-clips – with 4x digital zoom for close-ups – that can then be stored or shared using MMS or Bluetooth, or even transferred to a PC via USB cable. Speaking of personalisation, users can choose from a range of additional Style-Up covers that can be matched with downloadable wallpapers, themes and start-up/close-down animations.